There are 8 product(s) on this page. 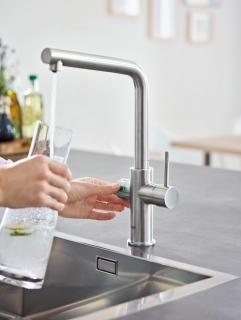 Forget the hassle of buying bottled water by having your own filter system at home. 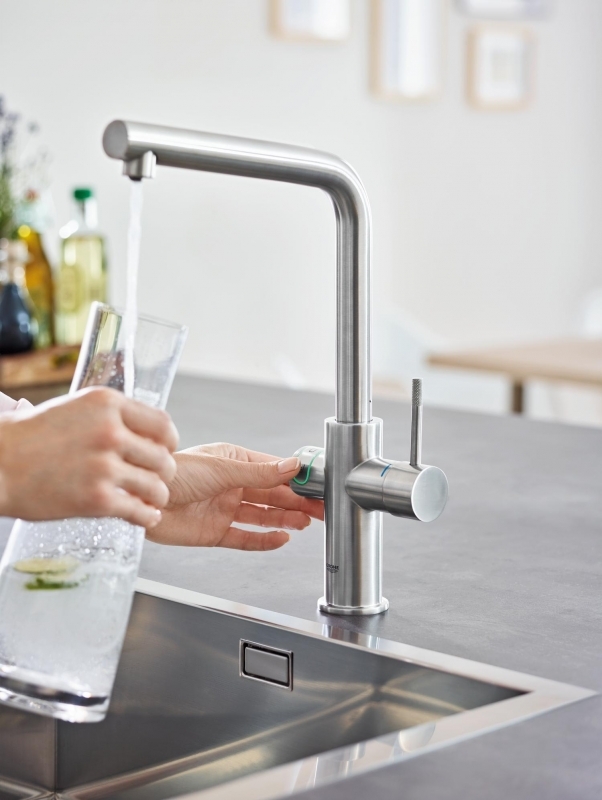 You can enjoy the delicious taste of instantly-available still or sparkling water of the purest quality, all from your kitchen tap. 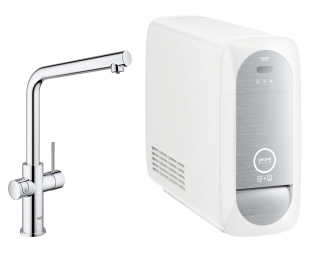 The Grohe Blue® Home Duo starter kit has everything you need to enjoy filtered, chilled or carbonated water. 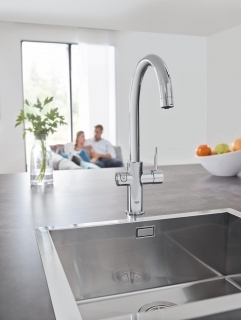 You can even select sparkling or a semi-sparkling option. And with a Blue Home Duo tap you also get all the benefits of a well-designed classic Grohe kitchen tap too. 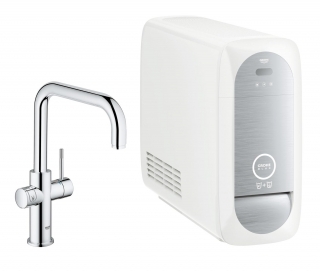 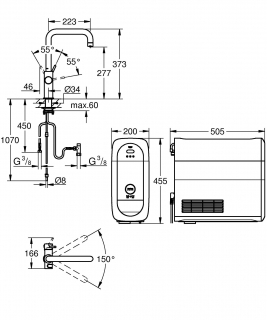 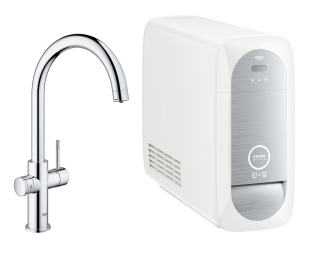 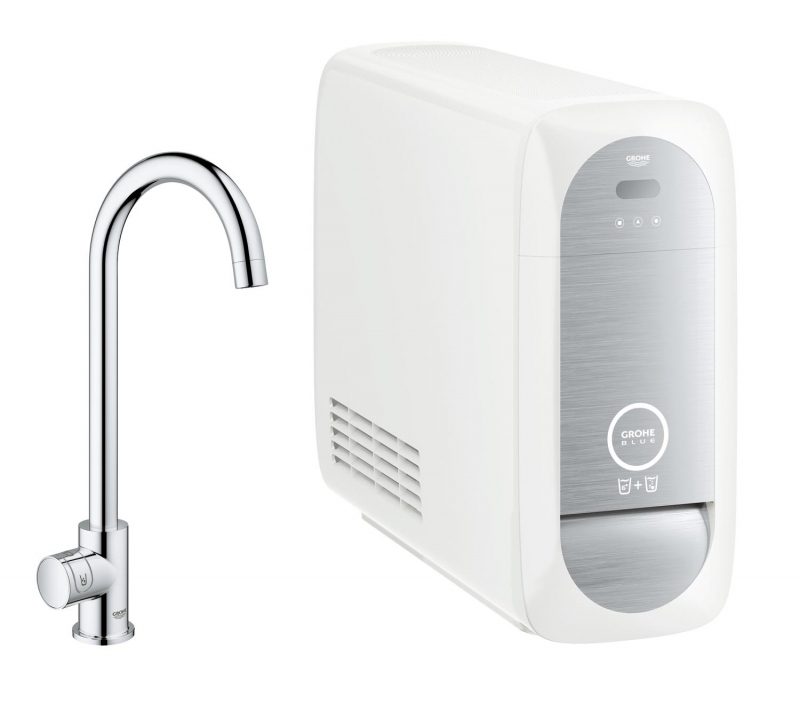 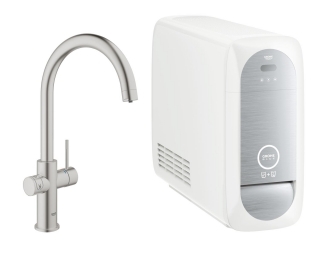 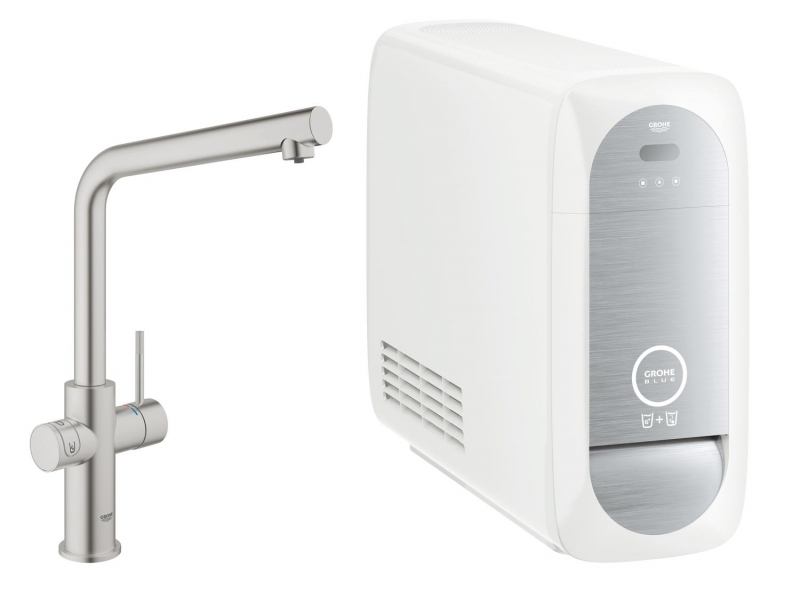 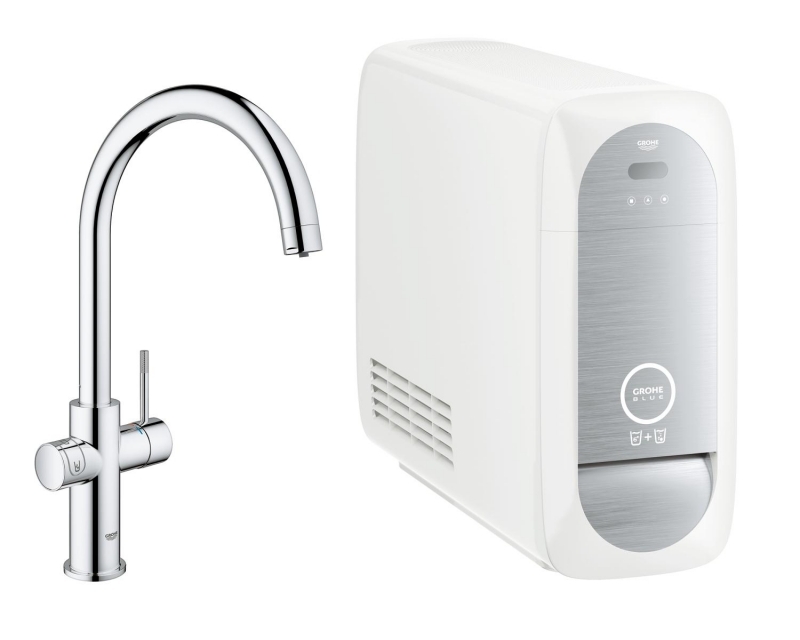 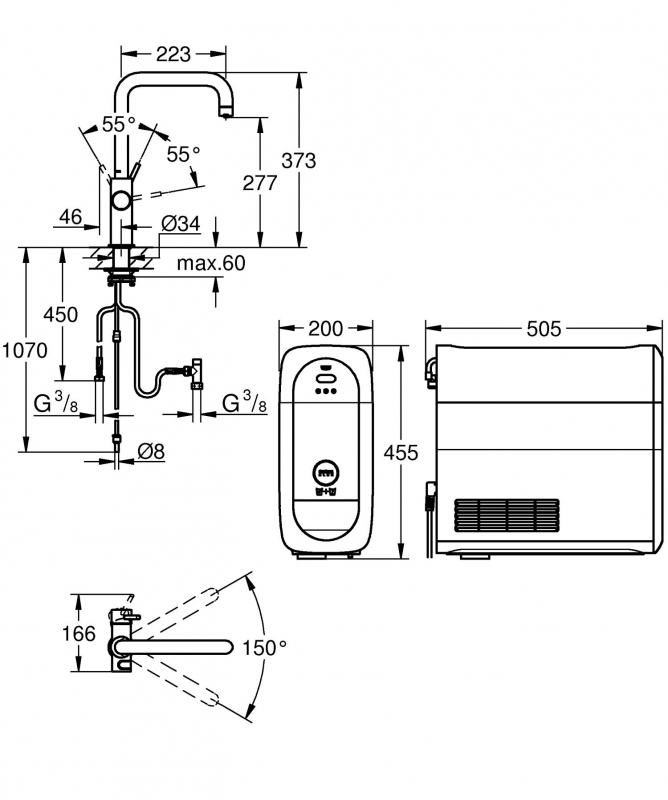 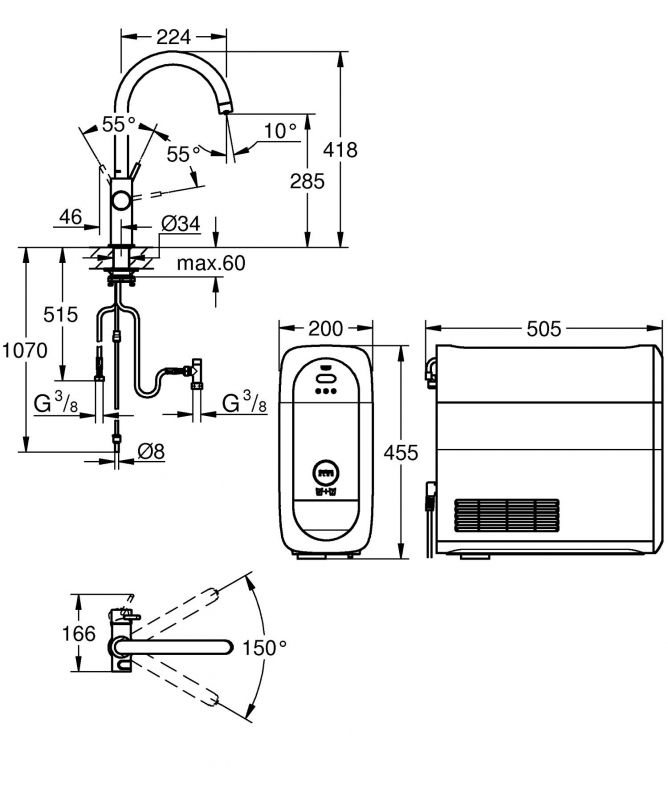 The kit combines a Grohe Blue single-lever tap and a low-energy (0.5kw/h) home cooler unit, containing the filter and CO2 bottle for carbonisation. The cooler unit fits into any cabinet over 30cm wide – making it a perfect fit for any kitchen – and both the filter and 425gr CO2 bottle are easy to remove and replace. 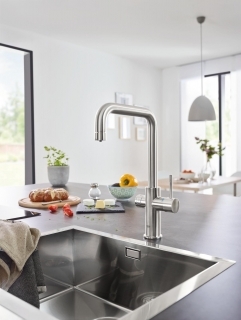 The elegant L-shaped spout and slim body conceal separate inner water ways for filtered and non-filtered water. 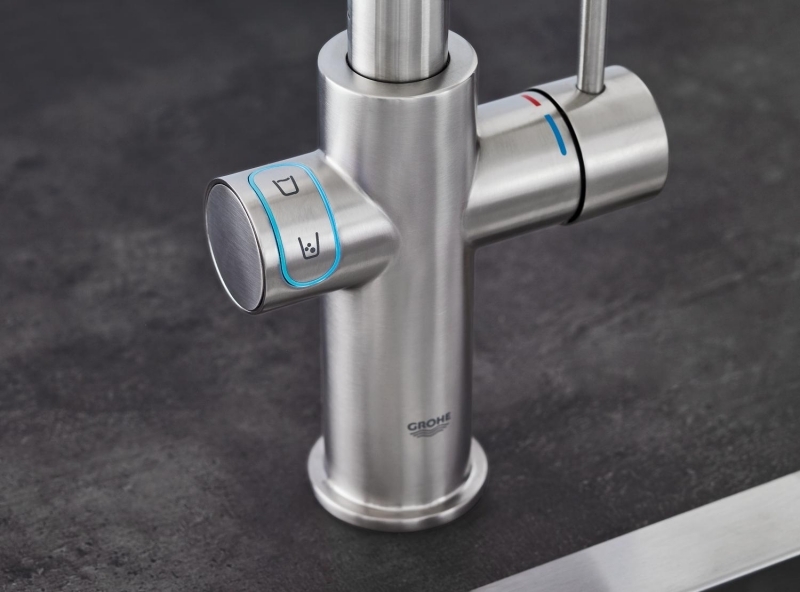 The lever handle provides standard washing water, but to activate the filter, chilled or sparkling function, simply press the illuminated LED push button. 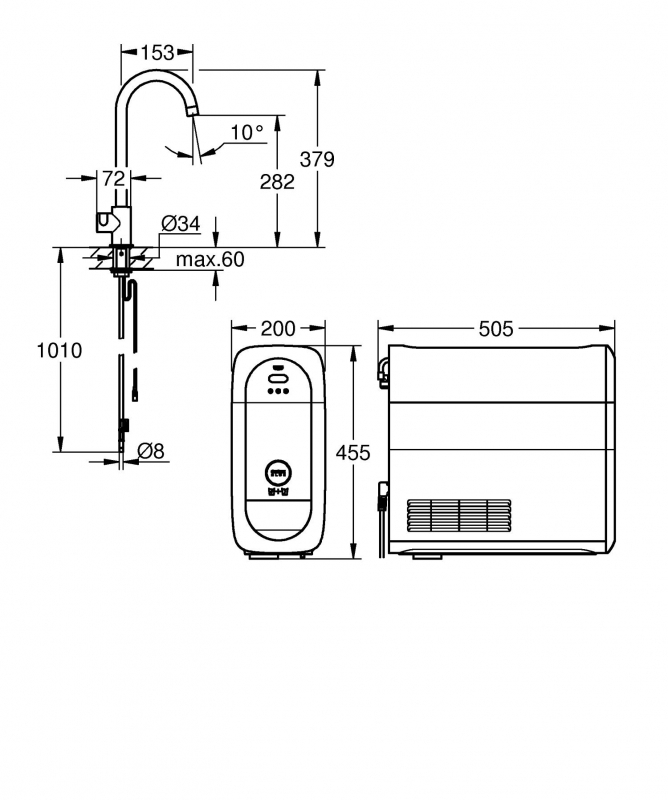 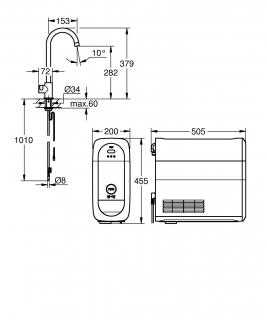 It’s as easy to use as your smartphone, and the LED display will also let you know when to change the cartridge. 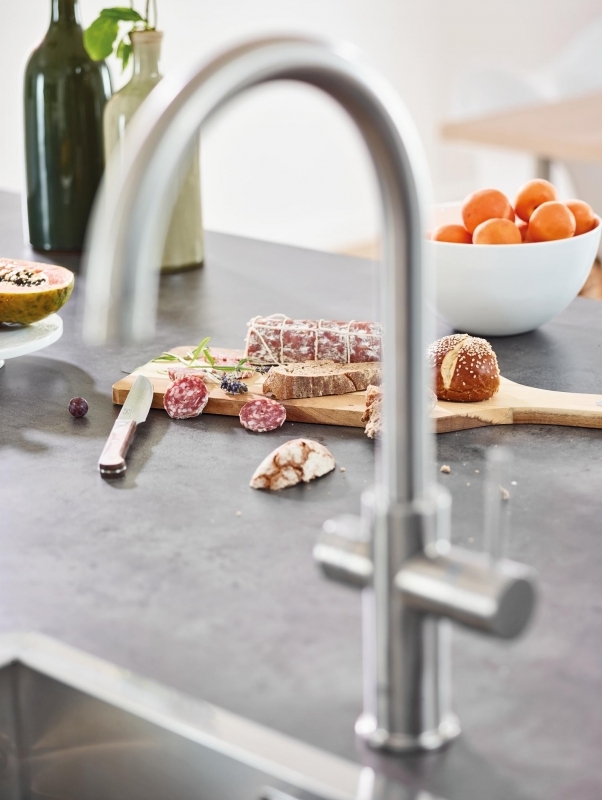 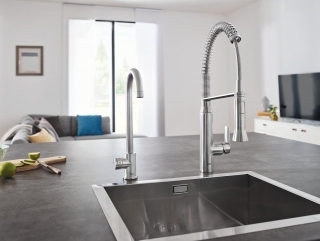 Created with GROHE’s distinctively sleek lines, this monobloc kitchen mixer tap also features a dazzling chrome Starlight® finish and durable SilkMove® internal mechanism for easy handling. Plus with no external piping needed and everything in the kit ready to go, it’s swift to install, taking just 30 minutes – no professional installation necessary!